There’s no doubt that social media has revolutionised over the years. Social media has grown from being a story-telling digital platform that connects people, to a fundamental marketing tool. As social media has aged and evolved, so has consumer behaviour. Social media impacts and influences our lives on a daily basis. Like Marmite, it’s a love-hate relationship, but for most of us, we can’t bear to live without it as we’d feel lost and disconnected from the world. For this reason alone, it’s no surprise that brands and businesses worldwide are taking full advantage of it. Social media is a useful and powerful way to connect with your target audience. It’s one of the most direct ways to engage with them and build a long-lasting, positive brand reputation. So how has the social media phenomenon changed marketing? Social media is built around community. It thrives off users interacting with their favourite brands. It’s become a popular source of information. Consumers talk on social media and people listen. So it’s essential that your brand is correctly representing itself, especially when interacting with its audience. Social media is a powerful way to build on brand engagement. Brand engagement and social media is a match made in heaven. You can talk directly to your audience publically or via private messaging. You have the opportunity to express your personality, showing a different side to your brand – this is essential for any business. Regular engagement with your social following is a fantastic way to promote your brand and build a new customer base. It will help your business grow into an industry leader give you an edge over your competitors. Think about how this will impact your business internally regarding KPI’s. Plus, it’s free to use. Hashtags are an effective way to get people talking about your brand. Campaign hashtags can go viral, and it’s an excellent opportunity for brands to engage with their current audience, as well as potential prospects. Remember to keep your social media posts regular and engaging, and don’t forget to respond to comments. A lot of brands (including the global ones), often neglect this. In association with brand engagement, social media has evolved into a customer service helpline. Users are contacting brands via social media channels to get their queries answered, or to vent their anger. Emailing, submitting forms and calling customer helplines can be a time-consuming and frustrating process, hence the move to social media, namely Facebook and Twitter. It’s a more productive way to get a response from a representative and resolve customer queries quickly. 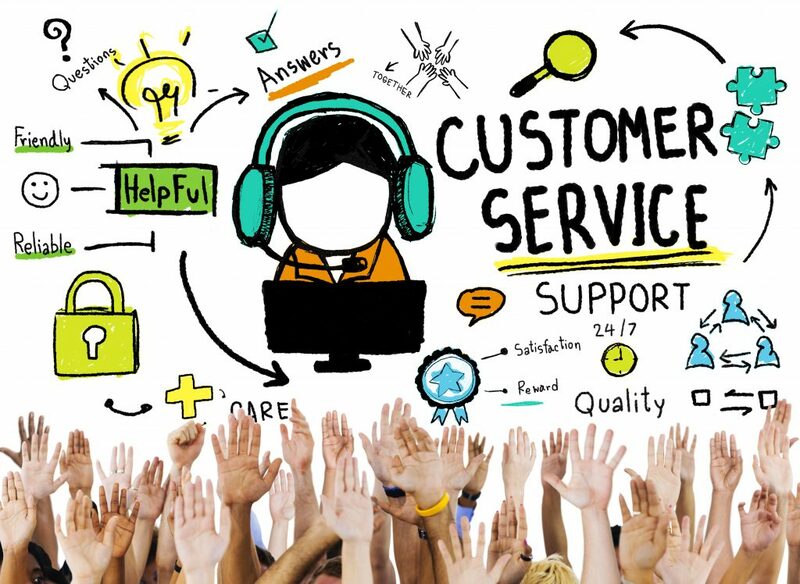 While customer service is an effective way to further build on brand engagement and reputation, it can have its downfalls. It’s in the public domain, which means, a complaint can go viral within seconds. How do you combat this? By responding to the user and being humane. It’s not uncommon that brands will delete negative posts to avoid others from seeing it, but this can have a harmful effect. Removing negative comments only encourages the user to express their feelings further and more vocally. It will spiral, and other users will get involved. Acknowledging the post and acting on it will turn any negative into something positive. It’s also most likely to be remembered by the customer, improving brand reputation. Although social media has numerous marketing opportunities that are free, they also have a paid advertising opportunity. For any growing business paid ads on social networking sites such as Facebook should be part of your ongoing marketing strategy, or at least considered. The budget will play a factor in the level of advertising you choose to do, but the way paid social advertising has advanced is extraordinary, particularly on Facebook. Paid social enables advertisers to refine and tailor their target audience and to find the ideal time to reach out to them. You can target users based on their behaviour, interest and demographics. You can target users based on annual income, job title and through product placement. Facebook’s targeting software has revamped the world of advertising. Facebook has multiple advertising options, making it easier to customise your campaign to suit your objective. These include brand awareness campaigns, engagement, video advertising, app installs, traffic, store visits, conversions, remarketing and more. Choosing an online advertising platform such as Facebook is cost-effective. The number of users you can reach is dependent on your budget, but you can decide when the ad goes out, which is an option we always advise. Advertising through social media is just another way this platform has changed how we market and engage with our target audience. Advertisers will have the ability to monitor the ads at any time and analyse their performance based on the campaign’s objective. Facebook’s Business Manager displays and reports on specific metrics such as conversions, link clicks, engagement etc. enabling you to create detailed reports. It’s a handy and recommended tool to take advantage of, and it provides advertisers with the opportunity to optimise the ads. Social media has become and will remain a central contributor to a marketing strategy. It’s encouraged marketers to get creative with their messaging. Having a marketing campaign that is visually appealing will be more likely to be remembered by your target audience and go viral. You can reach an audience that you never thought was possible. You can interact and engage with your customer base on a daily basis and in the most virtual, direct way possible. Therefore, social media opens up an opportunity for brands to understand who their audience is and what their desires are. You can begin tailoring campaigns and offerings based on this, which will show your audience and prospects that you care about your customers’ needs and that they’re at the core of your business. Regarding customer service, it’s crucial that you get it right. Acknowledge and never ignore complaints. Show your followers that you’re dealing with it and publically respond with updates. Avoid reacting with sarcasm. It can go one of two ways, and it’s a risk not worth taking. Avoid being robotic too, remember you’re representing a brand, so you’ll want to be personable. Finally, you can have fun with social media! Enjoy using it! It’s only going to continue evolving and change how we market to people. You need to bring your audience to you and what better way to do this than through the power of social media marketing?